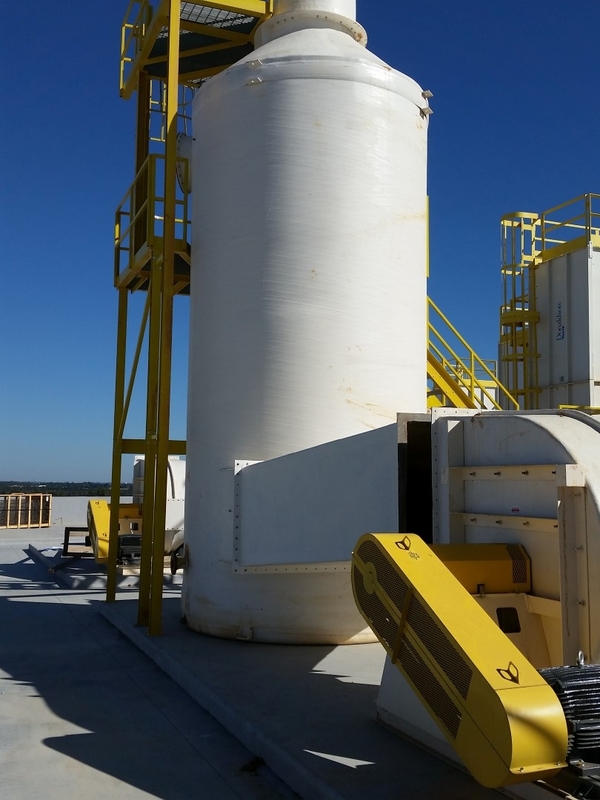 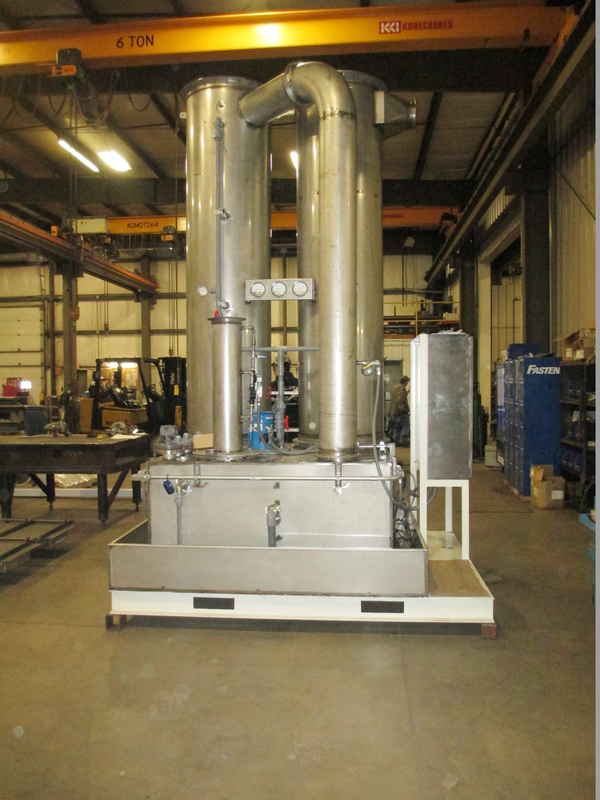 Tailored systems that collect and remove gaseous emissions using various scrubbing solutions. 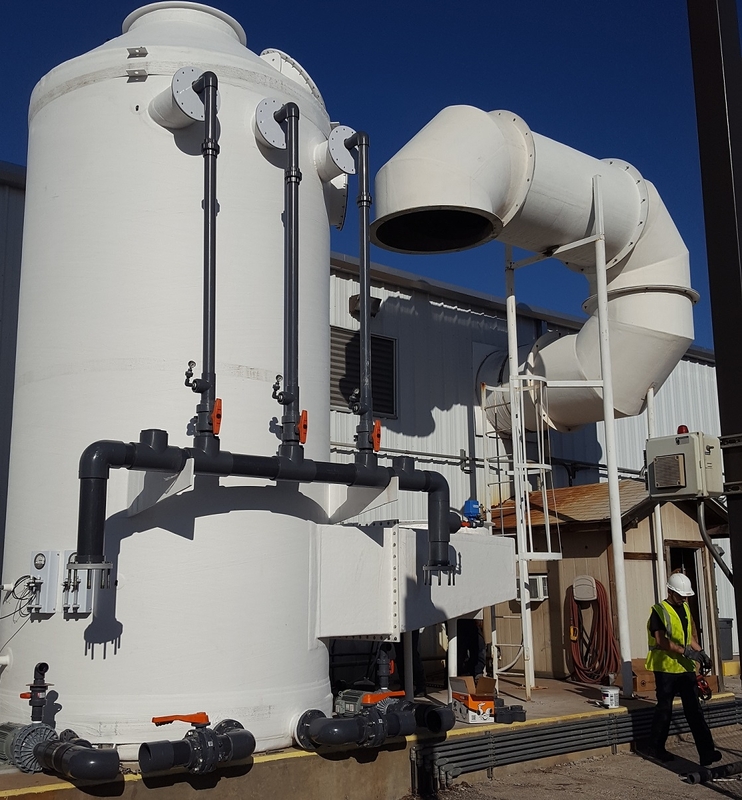 Pollution Systems offers Chemical Scrubbers, aka Gas Scrubbers, that are efficiently and effectively designed to remove gas pollutants. 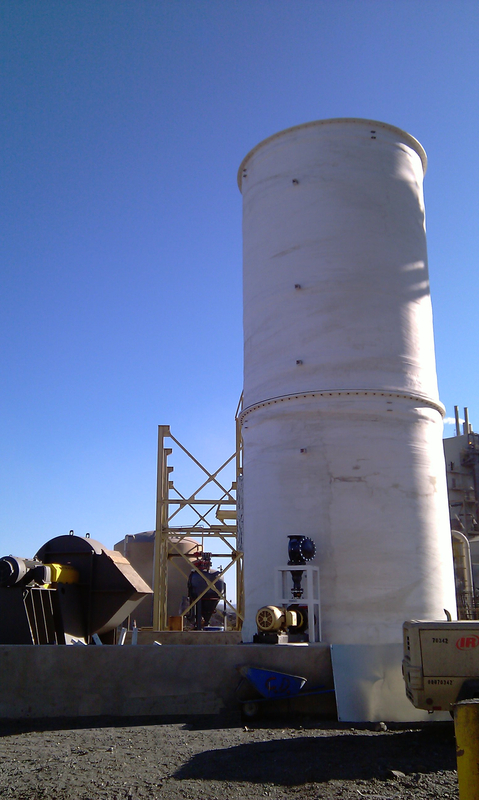 Often these pollutants are chemicals such as ammonia, chlorine or sulfur compounds. 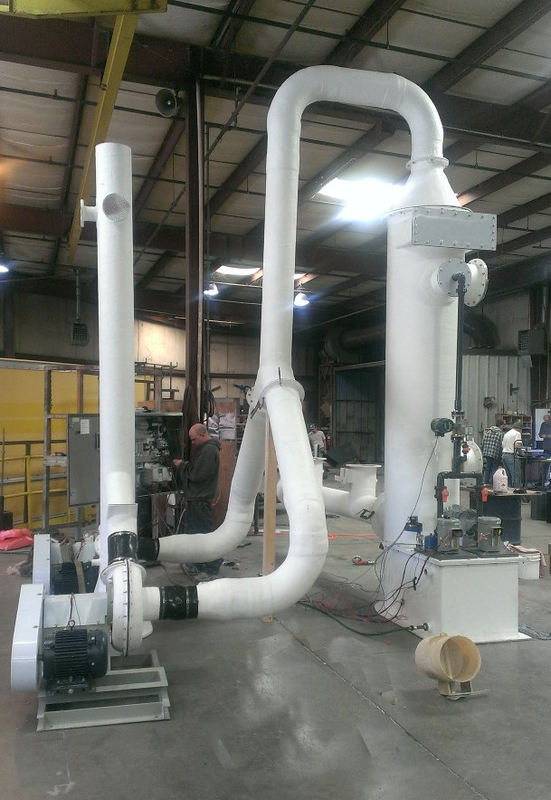 sign and construction for long-term, continuous operation while minimizing the equipment maintenance needed. 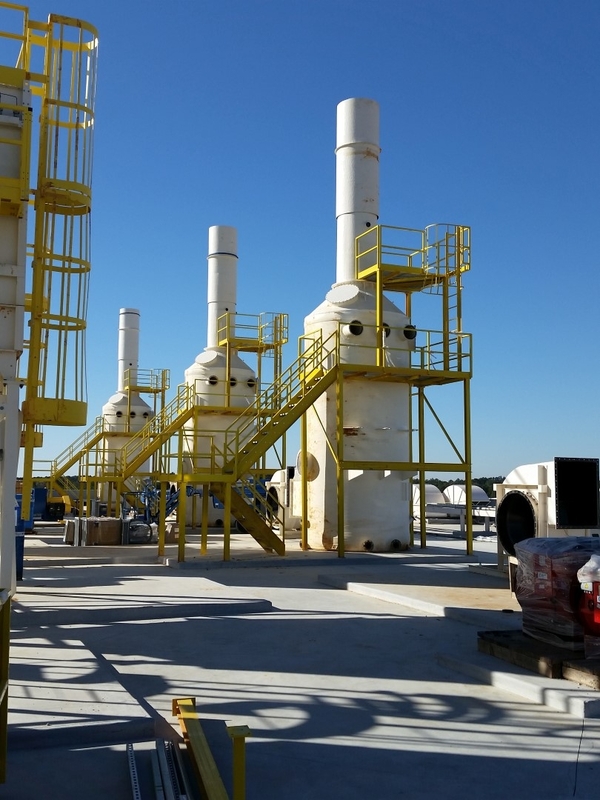 * CS-17 Chemical Scrubber Cut Sheet. 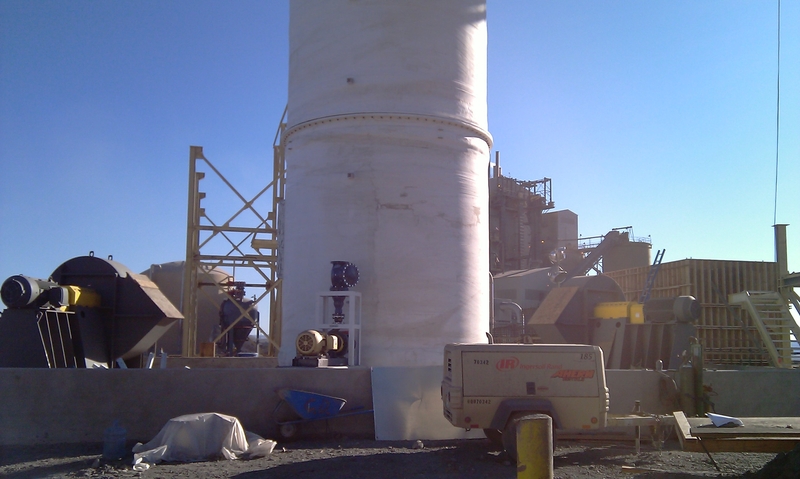 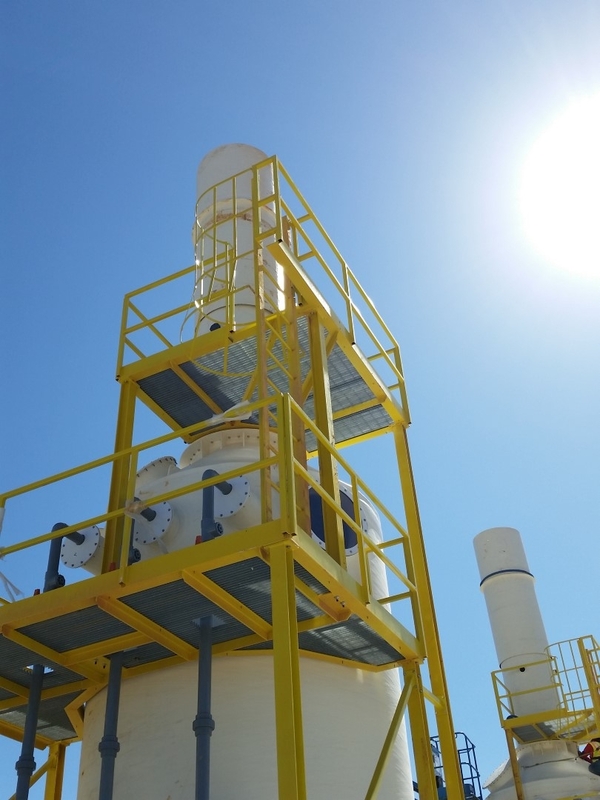 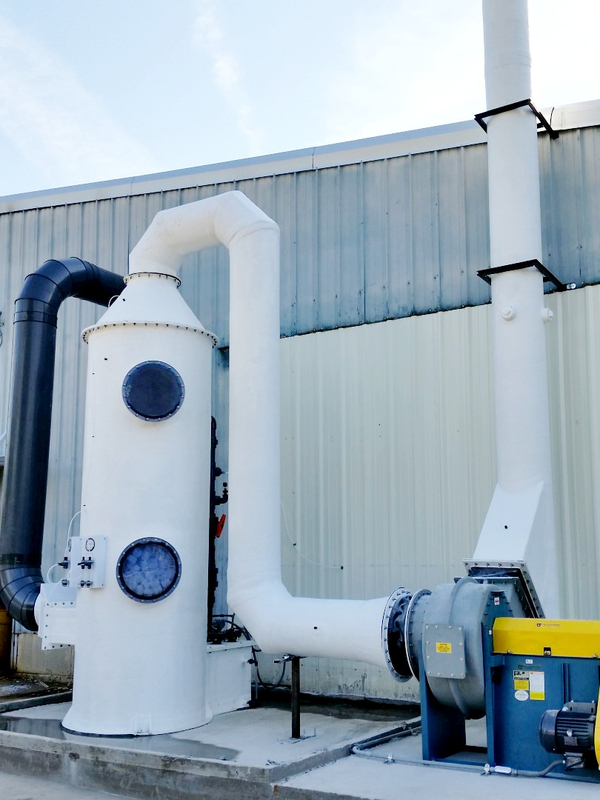 Effective Gas Scrubber removal efficiency is achieved by ensuring the appropriate contact time between the gas and the scrubbing liquid occurs. 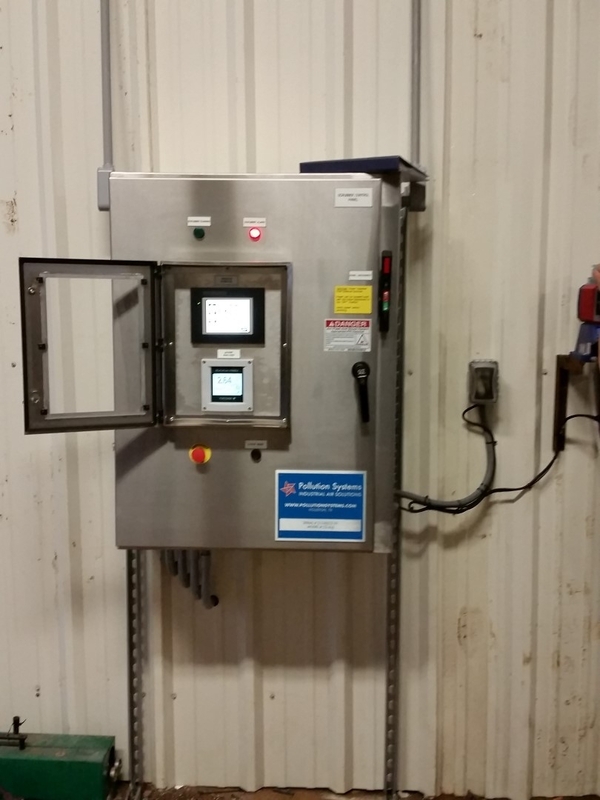 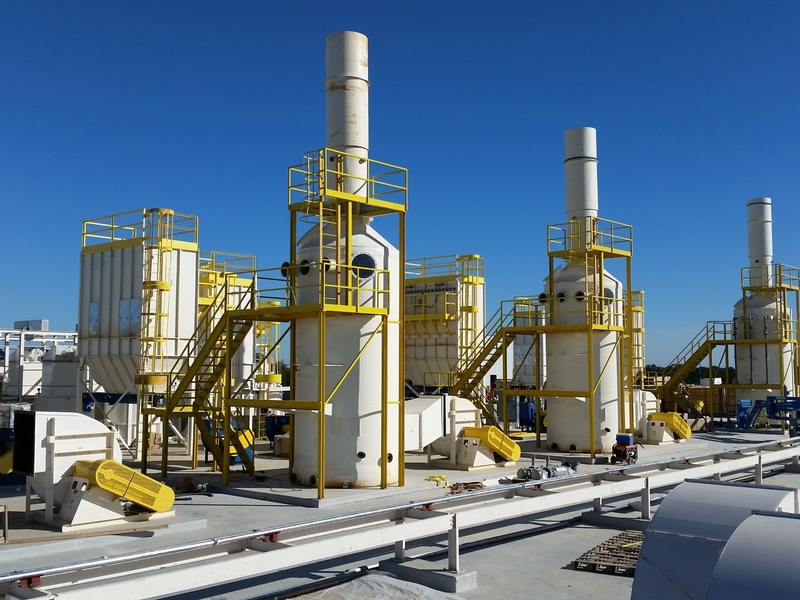 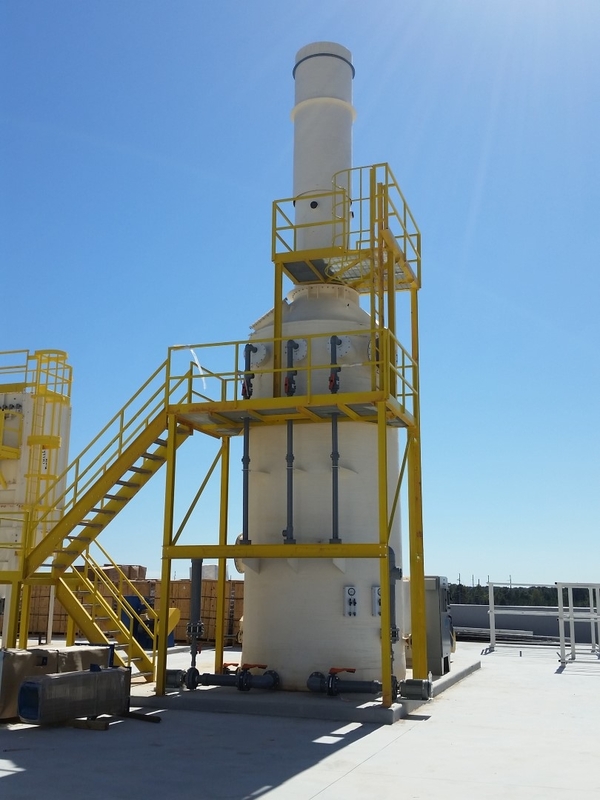 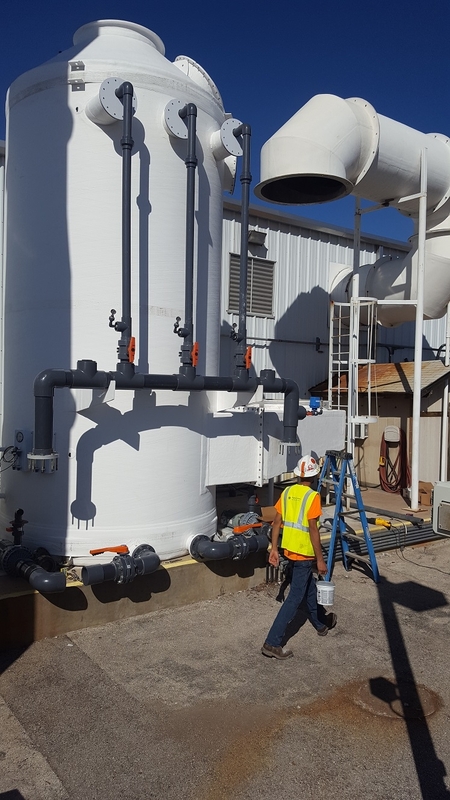 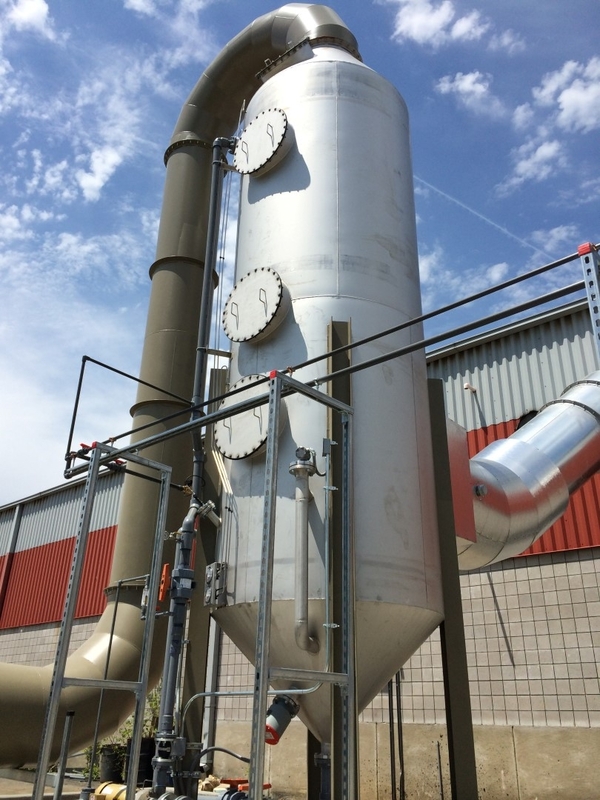 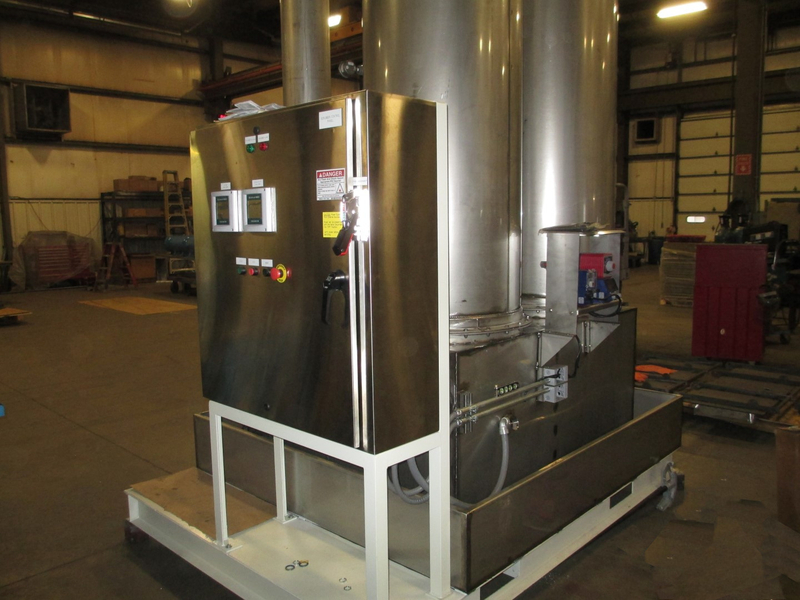 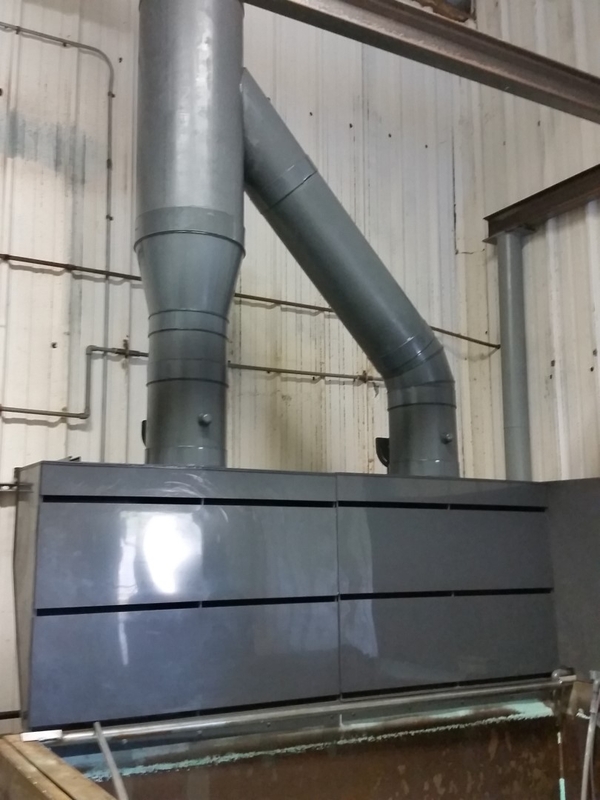 These systems incorporate a scrubbing vessel with a system fan, recycle pump, instrumentation and controls, mist eliminator, and exhaust stack. 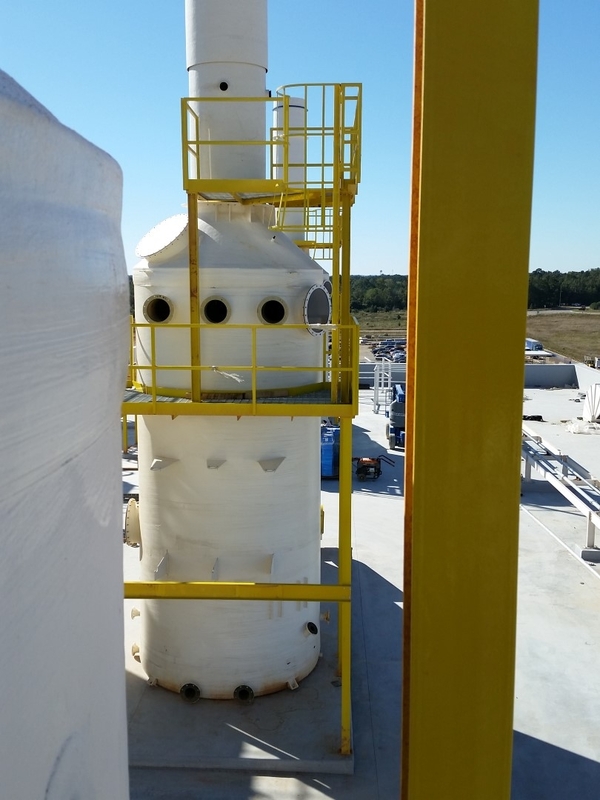 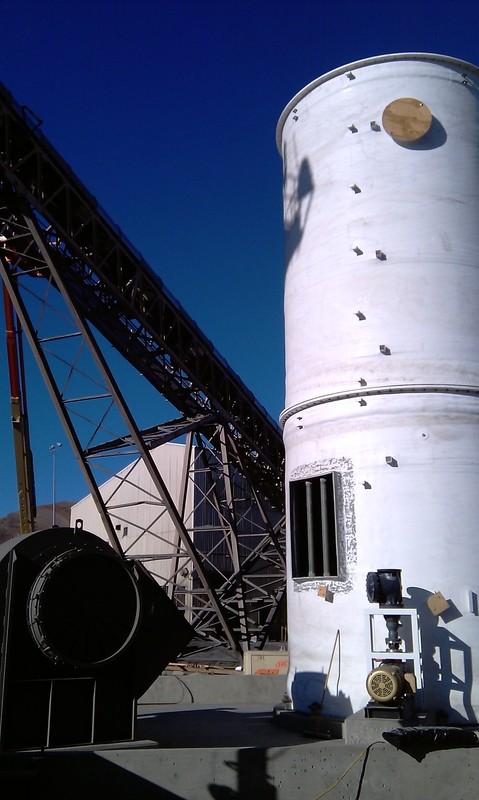 Packed Bed Chemical/Gas Scrubbers include random packing to facilitate gas to liquid contact. 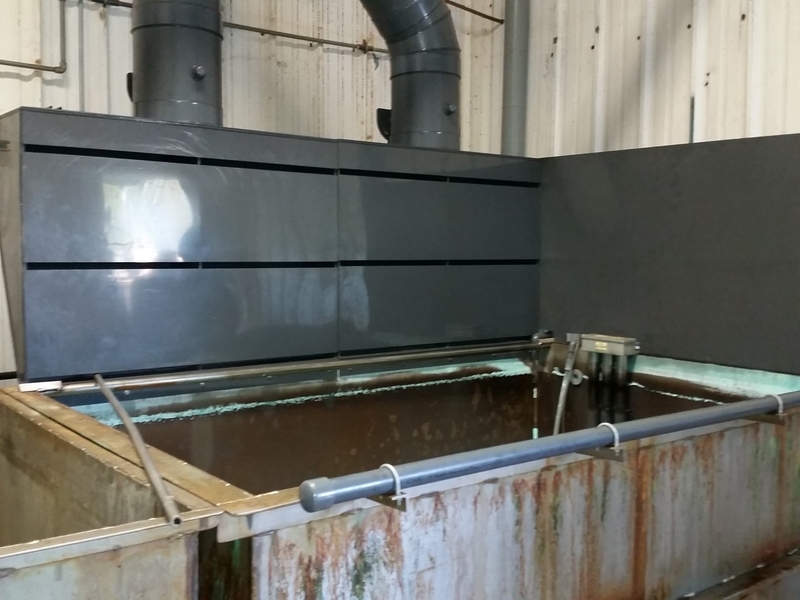 Exhaust gas enters the scrubber where it contacts the scrubbing fluid. 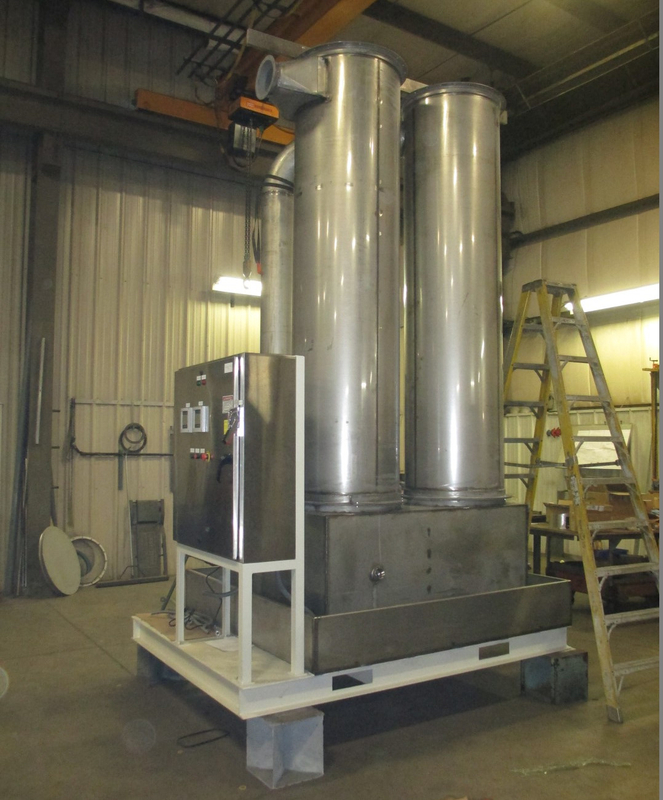 The fluid captures the pollutant and is collected for discharge or is treated for reuse. 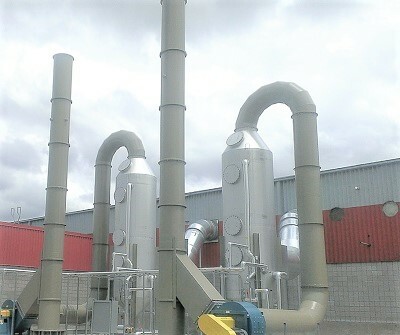 Some of the more common industrial applications include Chemical Processes, Metal Finishing Processes, Semi-conductor Manufacturing, and many other industrial operations generating fumes and gases.